Oreo and Yogurt Holiday Smoothie Recipe! The holidays are quickly approaching. And, we all know that means parties, family get-togethers and celebrating, celebrating and then some more celebrating. That also means feeding everyone who comes over (whether it’s for a Christmas party or an impromptu gathering). With all of the holiday cheer (and heavy food), I’m kind of into creating lighter fare this time of year. Okay, so I still like sweet treats. I can’t help it. But, I really wanted to spread some holiday cheer without filling my kitchen with cookies, cupcakes and pies. And honestly, I also wanted an easier option. Something that doesn’t require hours and hours of prep-time and baking. Seriously, who has time for that? I’m not saying that this is an entirely healthy holiday treat. But, it’s lighter than a fruit cake and it does have yogurt in it (which makes it healthier than ice cream). 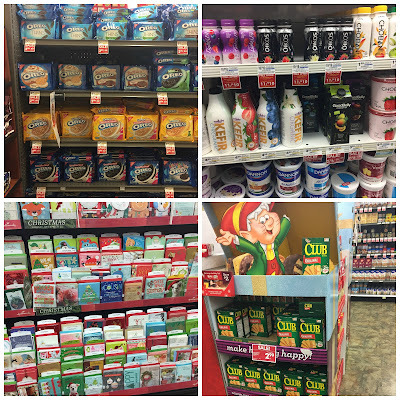 That’s why I’m glad that Giant Eagle has everything I need for my holiday shopping. Not only do they have an awesome array of their own brands, but they also have all of my favorites—that’s partially why I’m using Oro Thins for this super-easy recipe. I’m not stretching the truth when I say that I’m at Giant Eagle at least three times a week. Really, you can go there and ask their team members (believe it or not, the other day one of the Eagle’s Nest employees came up to me to say “hi” – she remembered my now 15-year-old son from when he was a preschooler!). I’m a fan of fancy drinks (the non-alcoholic kind, I mean). 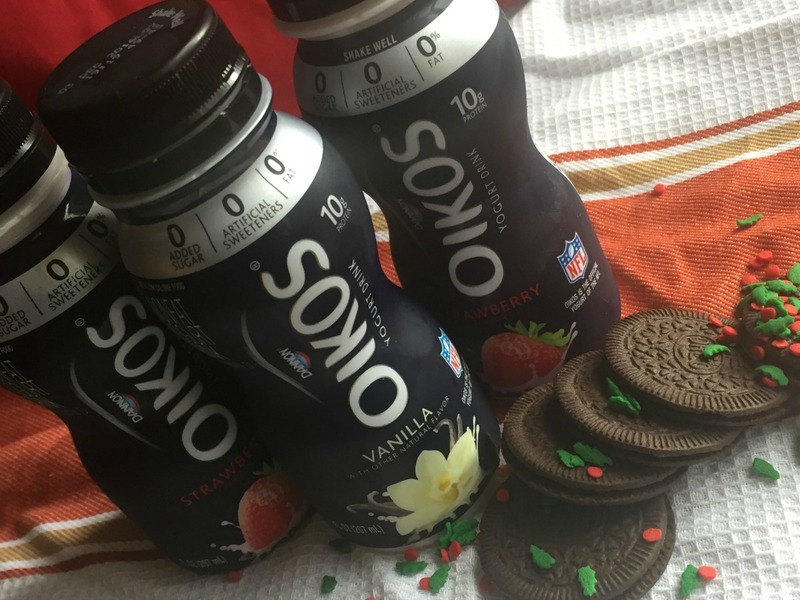 When I saw the Dannon Oikos Yogurt Drinks I immediately thought of trying out an easy holiday smoothie. To add a pinch (or maybe a bit more than a pinch of sweetness) I paired the drinks with Oreo Thins. How? Read on to see how this fab smoothie worked out! 1. Crush the Oreo Thins (leave a few whole ones out). You can put the cookies in a plastic zipper baggies and crush them with the back of a large wooden spoon or you can put them into a food processor. 2. Add the yogurt drink (I used one per serving), the crushed cookies and the yogurt to a blender. If you’re using fruit, add this now. 3. Blend the mix. Until it is smooth, but still thick. 4. Pour the holiday yogurt smoothie into a tall glass. Or you can get fancy, and use a wine glass (minus the wine, of course). We used a mason jar too! 5. Coat the rim with a thin layer of white frosting—it looks like snow! Sprinkle the sugar (or the holiday sprinkles) over the frosting to add a touch of Christmas flare. Don’t worry about it falling into the smoothie—it will just add extra holiday décor. Remember those leftover Oreo Thins that you didn’t put into the smoothies? 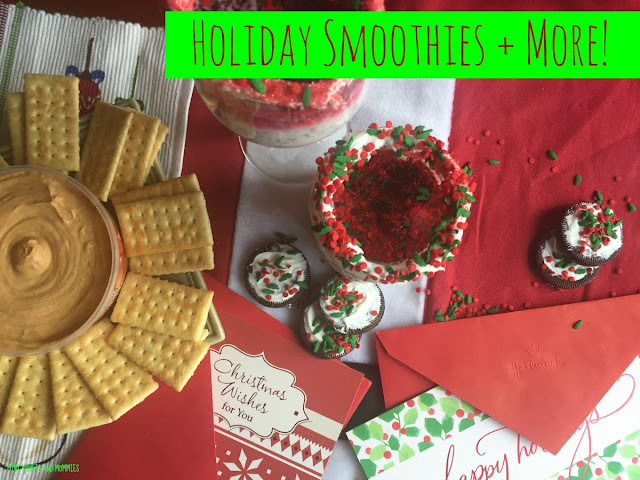 You can create an edible accent to your smoothie display (that is, if you’re setting up a table design for a holiday party buffet). Spread some of the white frosting over the cookies, and add more of the red and green crystalized sugar or holiday sprinkles. If you have a few candy canes on hand, rest one on the top of each smoothie glass. 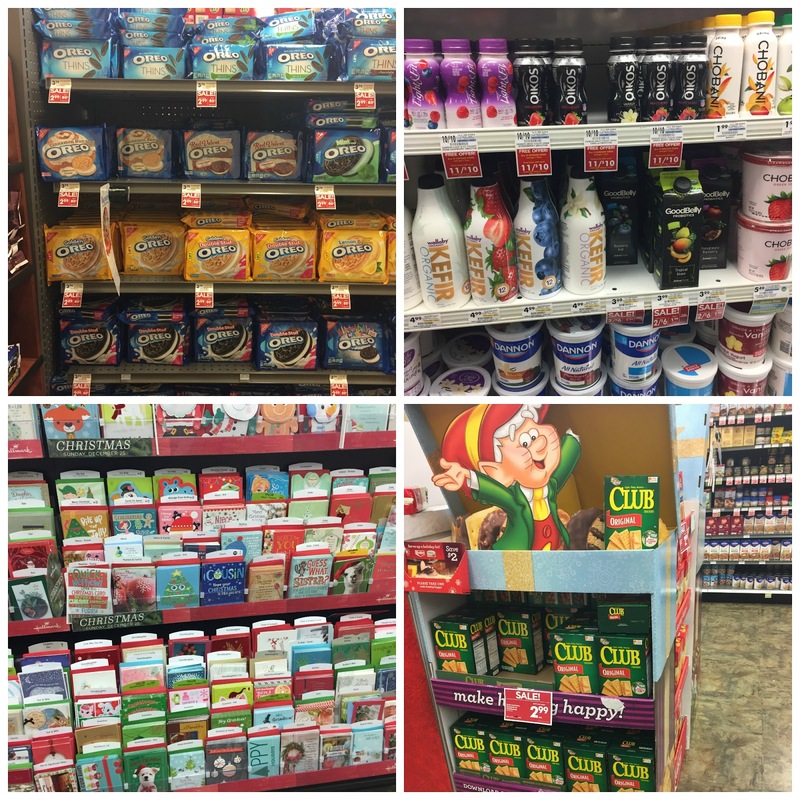 Now that you’ve got the sweet totally taken care of, you probably need something to balance it. You, and your guests, may start craving the salty stuff. Here’s where I’m glad that there’s a Giant Eagle close to home. I totally didn’t think about the fact that so much sweet needed a salty balance. So, when the thought hit me I had no problem running out (again) to pick up a box of Keebler Club Crackers! 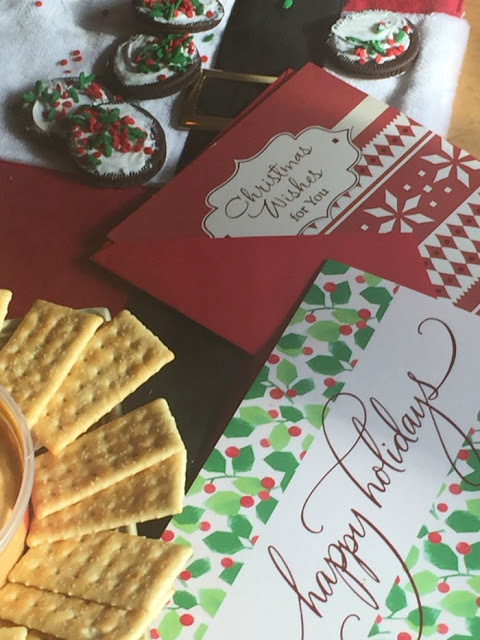 Pairing the crackers with Market District Hummus made for an easy savory option. It also gave me the chance to get a few Hallmark Holiday Cards for my guests. That’s it! 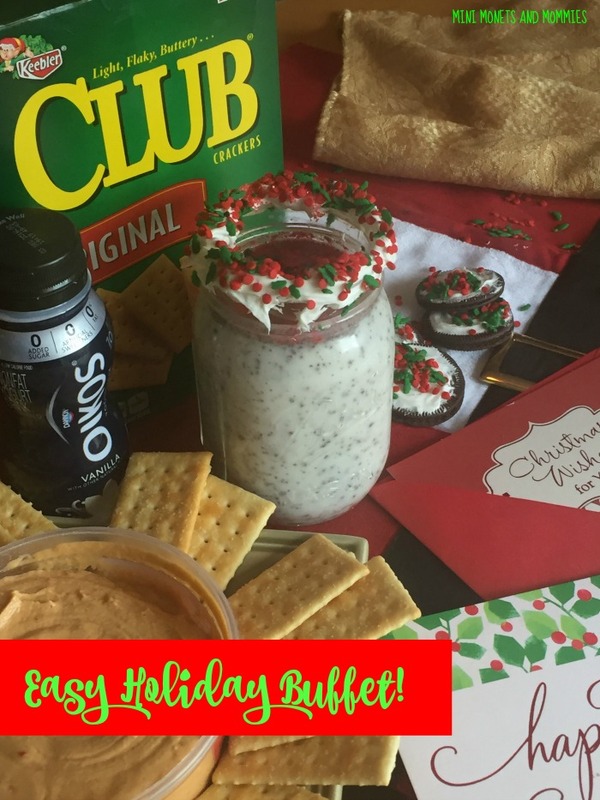 A simple appetizer-style buffet for the holiday. If you’re looking to create a full-on spread for your holiday party, check out the Giant Eagle Social Hub. You’ll find creative recipes galore there! Wow! You have shared yummy recipe of my favourite flavours which I would sure want to try by this weekend as it is healthy and easier healthy holiday treat option. 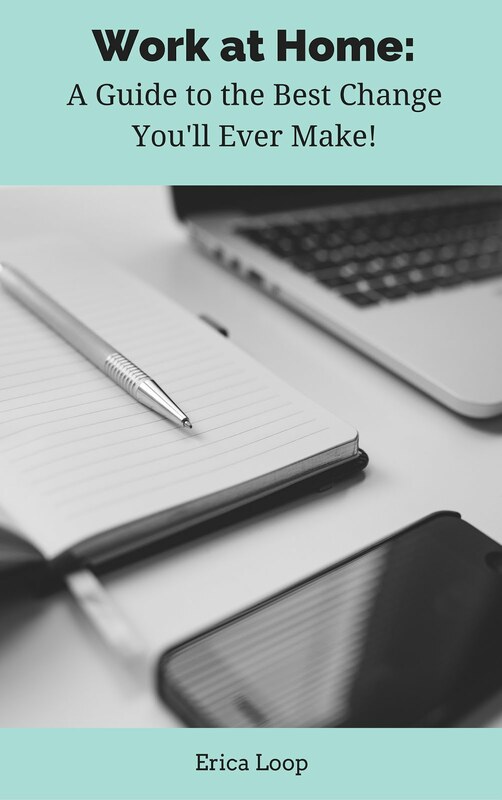 I will sure share this recipe with colleagues who are coursework writers - http://www.eliteassignment.co.uk/coursework-writing-help/ at Elite Assignment where university students come to take coursework writing help as they are struggling with their poor writing skills. And I am sure they will also love to enjoy this lighter fare. And I found it is easy to make by just following steps shared by you. Thank you so much. Wow. Nice preparation for Christmas with yummy oreo and yogurt holiday smoothie recipe. Thanks for sharing super-easy recipe with images. I am an academic Assignment help folks writer and providing assignment help services Melbourne. 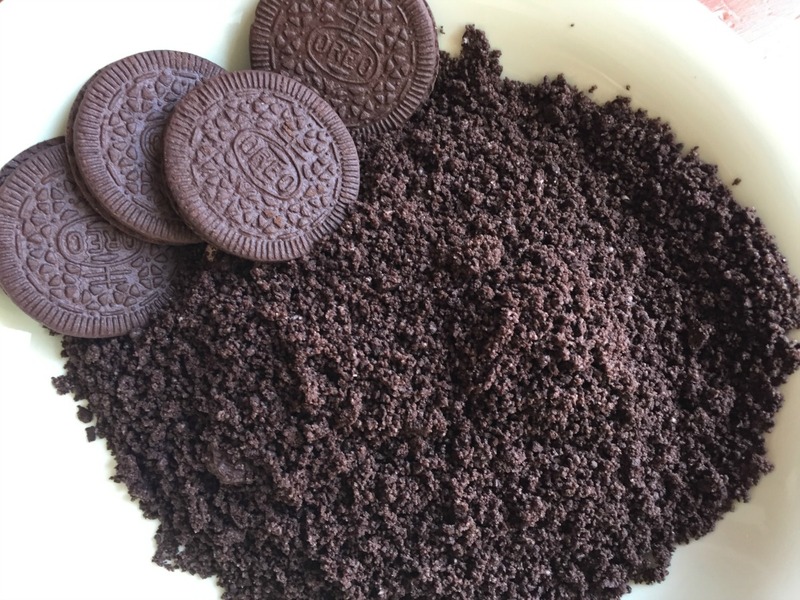 All kids/students are mostly like oreo biscuits and that’s because of they also like to this oreo flavours recipe. I would try to this with my academic students for Christmas celebrations. Looking yummy recipe of Oreo and Yogurt Holiday Smoothie. Since I am essay writer service UK provider and also providing writing services for the UK’s students. The holidays are infamous for sentimental treats. From the workplace Christmas party to the domestic cookie conversation, everyone affections to bake and portion their favorite formations. And there’s nobody wrong with permitting our-self a little understanding once in a though. Yeah it’s really working by watching this cookies recipe I have made so many cookies. My all the friends of Dissertation Writers UK Based love this cookies which I made. Show box is a free spilling application, where you may stream the most recent motion pictures and TV appears for nothing. Likewise, it gives different resolutions of the recordings for your benefit. Awesome. I really likes this one recipe and I am sure that this recipe would be most suitable for me to have the perfect holiay to spend with family and friends after a short break from dissertation writing service UK.